The Oliver Schnyder Trio made their debut at the Zürich Tonhalle in 2012. Their recording of Schubert’s Piano Trios was hailed «a new benchmark recording» by the magazine Die Bühne and was chosen as «Switzerland’s Best Classical Album of the Year» by the Aargauer Zeitung. This immediate success was confirmed by the recording of Brahms’ complete Piano Trios, which also received great critical acclaim and was given a «Milestone» from Musik & Theater. Their latest recording «Winterreisen» with the German tenor Daniel Behle, was selected «CD of the month» by the Opernwelt and awarded a Supersonic Award by Pizzicato. Past and present concert appearances and festival residences include the SWR Schlossfestspiele Ettlingen, WDR Funkhaus Köln, Liederhalle Stuttgart, Festspiele Baden-Baden, Alte Oper Frankfurt, Schloss Elmau, Meisterzyklus Bern, Ittinger Pfingstkonzerte, Menuhin Festival Gstaad, Wigmore Hall, Concertgebouw and Muziekgebouw, Musikdorf Ernen, the Hirzenberg Festival and the festival Universum Beethoven, where they took part in a complete cycle of Beethoven’s Piano Trios at Boswil and Muri, alongside the Trio Jean Paul and the Wanderer Trio. 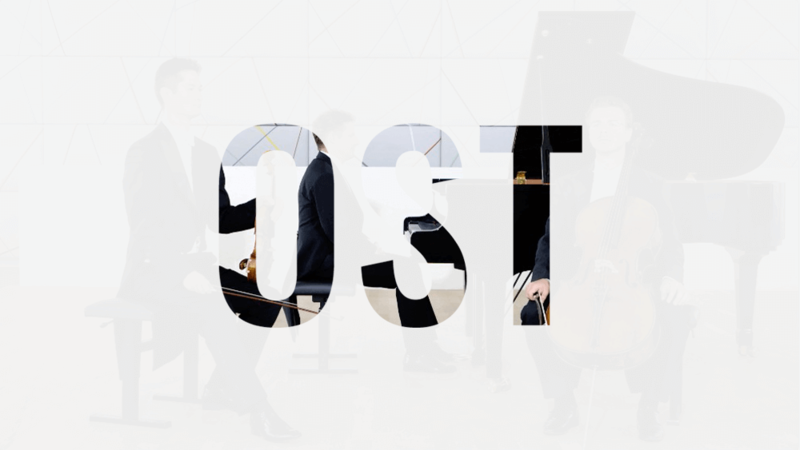 The OST annually tours the Far East and frequently teams up with musicians such as Daniel Behle, Vilde Frang, Nils Mönkemeyer and Lars Anders Tomter. 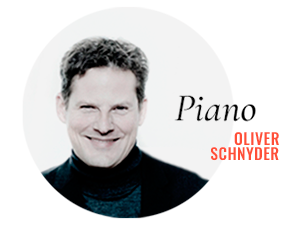 Oliver Schnyder studied with Emmy Henz-Diémand and Homero Francesch in Switzerland and with Leon Fleisher in the United States. He performs with leading orchestras such as the Philharmonia Orchestra London, the Zürich Tonhalle, the Cologne WDR Symphony, the Danish National Symphony, the Baltimore Symphony, the Zürich Chamber Orchestra and the Academy of St Martin in the Fields under conductors such as Semyon Bychkov, Ivor Bolton, Vladimir Fedoseyev, James Gaffigan, Philippe Jordan, Mario Venzago, Sir Roger Norrington and David Zinman. Schnyder has released CDs for RCA Red Seal and Sony Classical, featuring works by Mozart, Schumann, Liszt, Haydn, and Mendelssohn. A complete recording of Beethoven’s Piano Concertos with the Lucerne Symphony Orchestra under James Gaffigan will be released in late 2017. Andreas Janke, is the 1st concertmaster of the Zürich Tonhalle Orchestra Zürich. 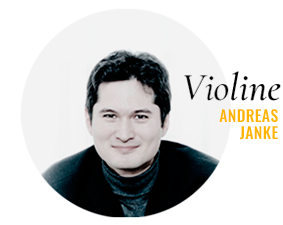 He studied in Salzburg with Igor Ozim and the Hagen Quartet and has won numerous prizes and awards at competitions such as the Queen Elisabeth in Brussels, the Fritz Kreisler in Vienna, the Benjamin Britten in London and the Prague Spring. He was appointed professor at the Zürich University of the Arts in 2013. Andreas Janke plays a violin by Carlo Bergonzi, the «Hozier, Andrews» of 1733-39, which has been placed at his disposal by Mercedes-Benz Automobil AG, Zürich. 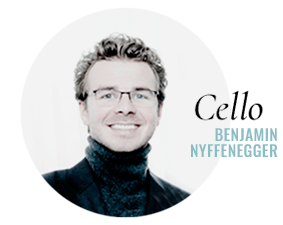 Benjamin Nyffenegger, deputy solo cellist of the Tonhalle Orchestra, studied in Zürich with Walter Grimmer and Thomas Grossenbacher. He is the winner of numerous prizes and awards at national and international competitions and scholarships. He performs with leading orchestras such as the Tonhalle and the Academy of Saint Martin in the Fields. Nyffenegger is also a sought-after chamber musician and a member of the Julia Fischer String Quartet.